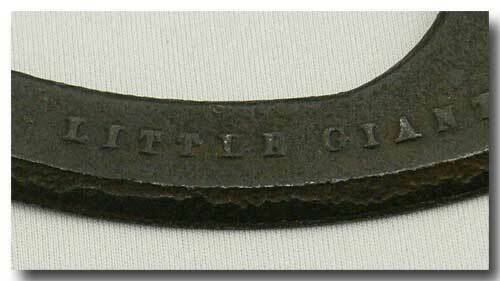 An iron traveller signed “WELLS BROS & CO GREENFIELD MASS” and “LITTLE GIANT”. 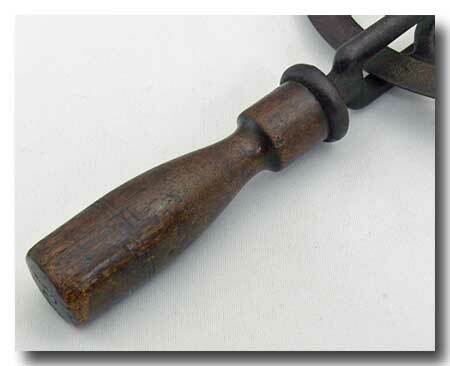 Made of iron with an adjustable pointer and a turned wooden handle. Approx. 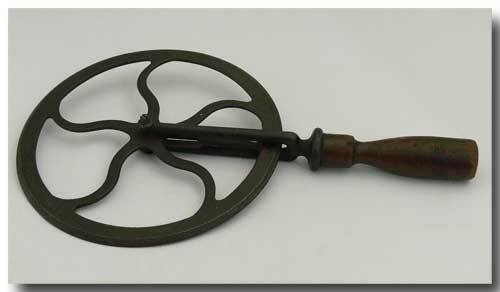 13 inches long with a wheel diameter of 7 ½ inches. Great original condition. 5 spoke design. Wheel turns freely. 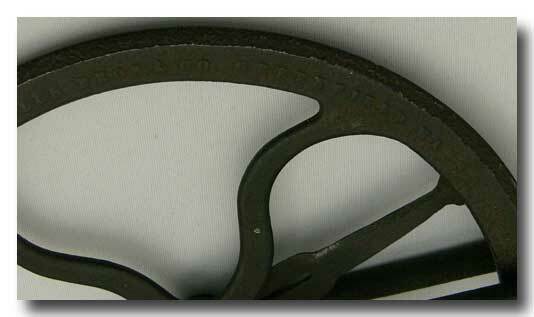 In 1879 this company began manufacturing tools & machinery for farriers, blacksmiths & wheelwrights under the name Wells Bros & Co. until 1888 when the firm incorporated and changed their name to Wells Bros Co. (dropping the & sign). 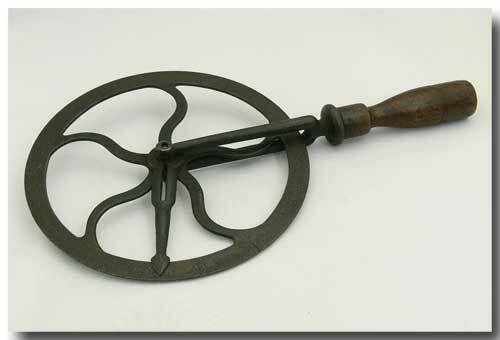 Wheelwrights & blacksmiths used this tool to measure the outside circumference of a wheel so they could cut and fit an iron rim. They could also be used to measure the distance around a tree trunk. Dates 1879-1888.